In less than one month the Midwest Haunters Convention will be descending upon Columbus, Ohio and if you have even the slightest passion for haunting you’re not going to want to miss this event! 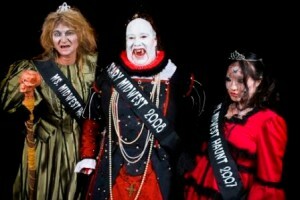 Billed as the largest Halloween show of its kind in the US this three-day event is filled with Haunt Tours, parties, fashion shows, the Miss Scary Midwest pageant, an enormous trade show, an insane amount of seminars, and of course, the Scariest Character Contest to boot! 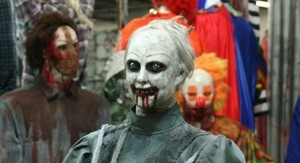 The 11th annual event (the first since the event was purchased by Transworld) will feature a 75,000 square foot vendor trade show with over 100 of the heaviest hitters in the haunt industry. For a list of seminars, instructors, times & locations, click HERE. Weekend Pass Includes Friday evening events, Saturday seminars, Trade show floor and masquerade party. 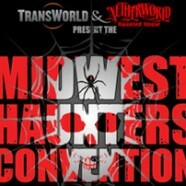 And if you think you’re going to have a hard time keeping yourself focused and on schedule during the convention just download the Midwest Haunters Convention App!